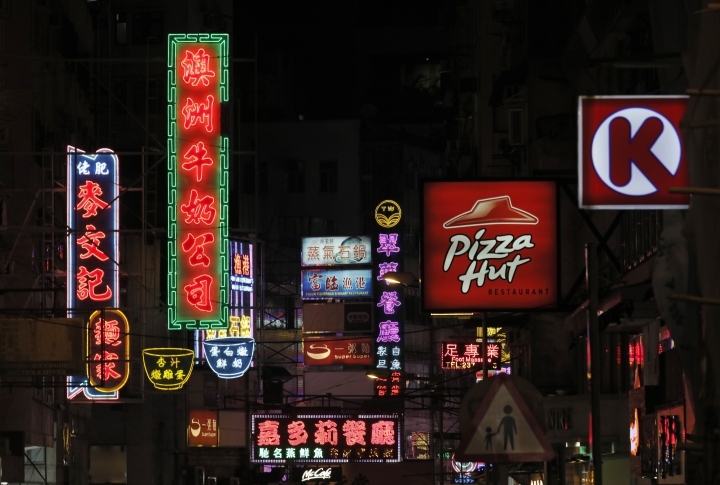 HONG KONG — For Hong Kong's famed neon lights, the future looks dim. 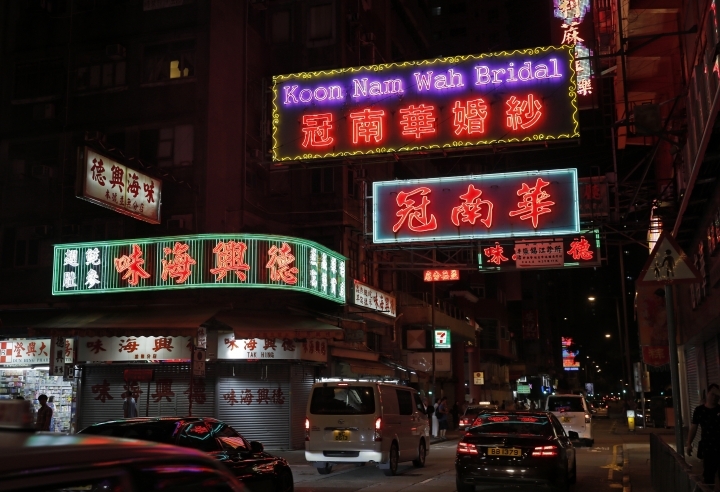 Neon-lit signs were once ubiquitous here, illuminating city streets with their soft, warm glow and giving the dynamic Asian city a signature look to match its postwar economic boom. Tens of thousands of signs on countless tower blocks advertise restaurants, nightclubs, saunas, camera shops and jewelry boutiques in a rainbow of garish hues. Many are cantilevered far out over the street, competing for visitors' attention. Few symbols have come to represent Hong Kong as much its skyline of flashing and blinking neon billboards. That visual heritage is now under threat. 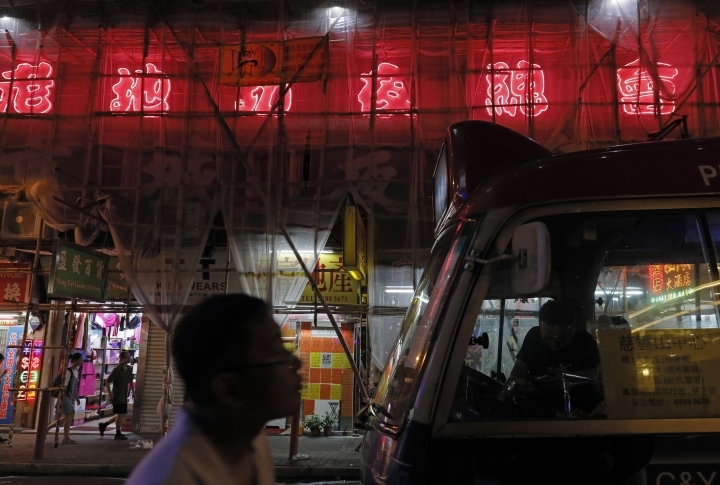 Over the past two decades, Hong Kong's neon industry has been gradually dying out, a victim of changing tastes, new technologies and tighter regulations. Some groups have been fighting to save the signs as part of the city's cultural heritage before they disappear completely. 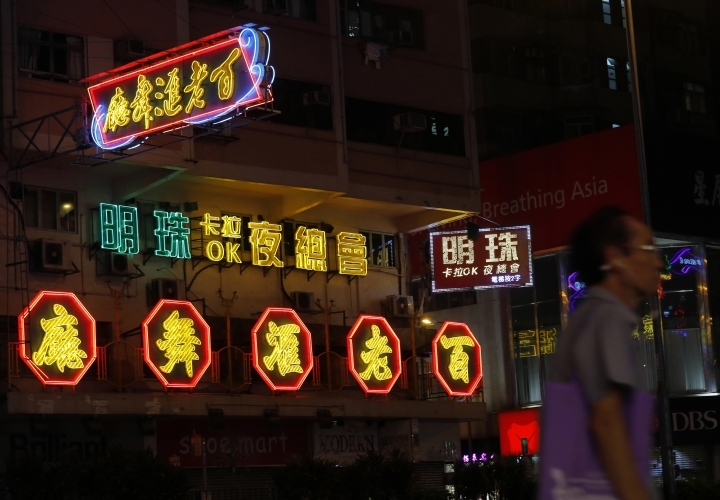 "Neon signs are not just something that illuminate," said Cardin Chan of Hong Kong Neon Heritage , whose members are cataloguing the signs still left and working to come up with creative ways to preserve them. "They should be considered as art. And it is very unique to Hong Kong." 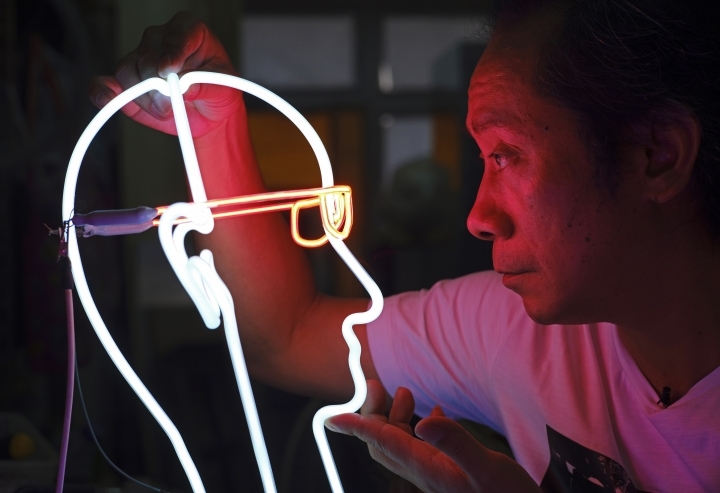 Wu Chi-kai is one of about half a dozen neon sign masters left in Hong Kong. 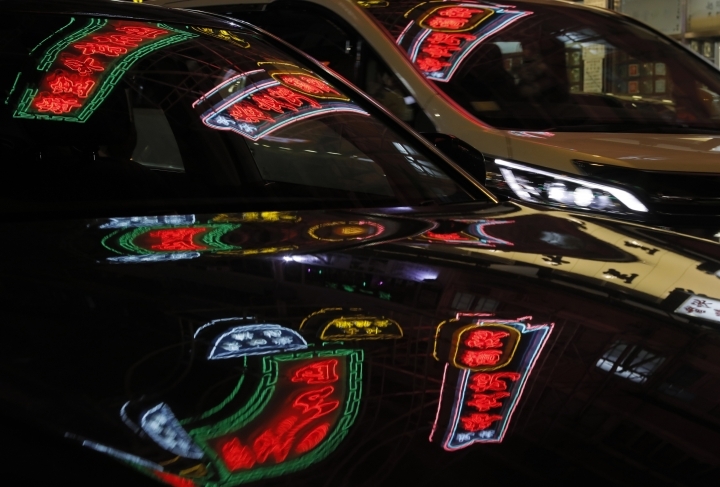 The 50-year-old said he now earns about a third of what he made during the "golden era for the neon sign industry" in the 1980s and early 90s. At the time, Hong Kong was at its economic peak. Wu had done a six-month apprenticeship in his teens before being hired by a sign maker. Their days were so busy, he said, that he sometimes slept in the studio. "Around 1997, LEDs came out," said Wu. "I thought that it would be a strong enemy of neon signs. As neon signs had been used for decades, people perceived it as old-fashioned. And people usually love to use something new for their store signs." 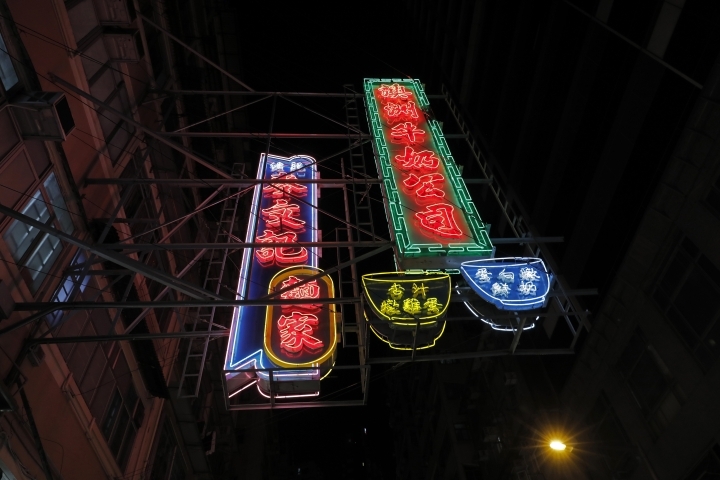 Light-emitting diode signs have since proliferated across Hong Kong's cityscape because they're brighter and more energy efficient, but purists say they also lack neon's warm tones. Neon's appeal also faded because of its association with red-light districts, a turn-off for businesses wanting a wholesome image. Government regulations have also sped neon's demise. Decades ago, few regulations governed sign placement and size, said Wu. Businesses tried to do outdo each other by putting up bigger and bigger signs, held up by cables and jutting out over busy thoroughfares like the Nathan Road tourist strip in Kowloon's Tsim Sha Tsui district. At night, they appear to float in the sky. "When our clients wanted their neon signs to catch the attention of passers-by, they would make the signs wider to avoid being blocked by the other ones," he said. 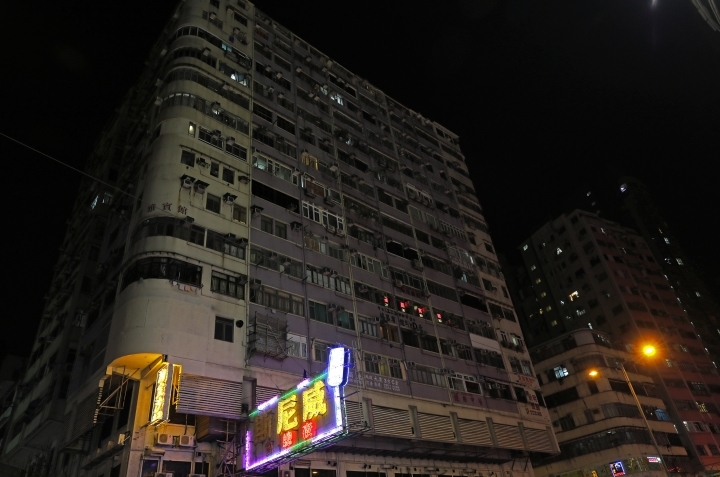 Hong Kong's Buildings Department has been cracking down and ordering that some be removed. 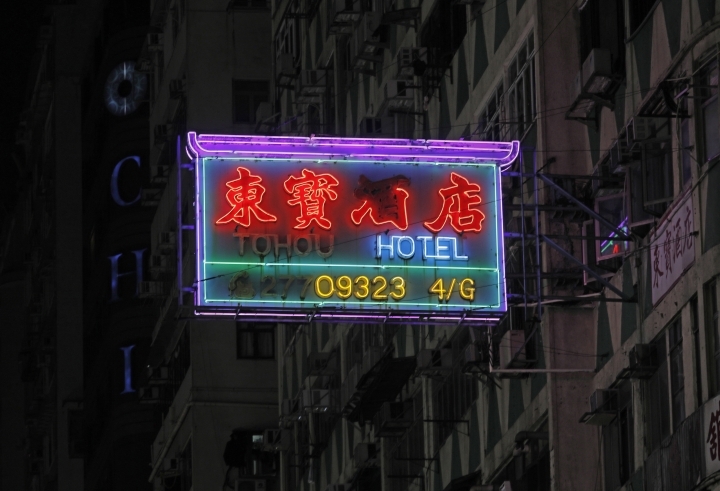 It doesn't tally how many neon signs Hong Kong has, but it says the city has about 120,000 signboards, many of which are believed to be unauthorized. In each of the past two years, the department has removed or repaired about 2,700 dangerous or unauthorized signboards and issued removal orders for about 700 more. Among those caught up in the clampdown was a sign depicting a giant Angus cow that had long been a local landmark, hanging above the entrance to a restaurant called Sammy's Kitchen since 1977. 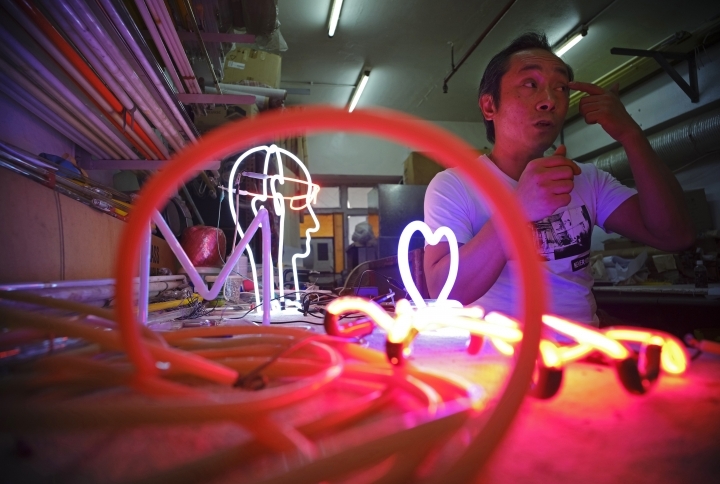 The owners donated it to M+, Hong Kong's museum of visual culture, which is now adding neon signs to its permanent collection and had dedicated an exhibition in 2014 to neon signs. AP assistants Daniel Ma and Emily Cheung contributed to this report. Copyright © 2015 - 2019 Technology - Asean Coverage. All Rights Reserved.